The Daleks are the Doctors most recurring foes and the only one of his many enemies to date who has battled every single incarnation of the Doctor on screen. Whilst the Daleks have always remained effective villains of the Time Lord, it is true that certain incarnations of the Doctor have played off of the monsters much better than others. This can be for a number of reasons. Some Doctors just aren’t as well suited to the villains, others meanwhile don’t get a chance to interact with them as much. In this article I will be looking at which Doctors were the best Dalek Doctors. This does not reflect which Doctors were the best overall or even which Doctors had the best Dalek stories. Just simply which Doctors suited the pepperpots from Skaro the best. We will also be looking at what each actor who played the Doctor thought of the Daleks. The first Doctor I felt was one of the best matched for the Daleks. Its just as well considering, depending on how you count them he had more Dalek stories than any other Doctor to date. Though if you count two parters of the revival as two separate stories then both the Tenth and the Eleventh Doctors have more Dalek stories. Either way the 1st Doctor has the most amount of Dalek episodes however. In fact there are almost as many episodes with the Daleks in the first Doctors era as there are with the Tenth Doctor and the 11th Doctor in total. The 10th Doctor is in 47 episodes, whilst the 11th Doctor is in 44 episodes. Hartnell meanwhile has 42 Dalek episodes. He also has as many Dalek episodes as the 7th Doctor has in total in the series, whilst the first Doctor is in more episodes with the Daleks than the 6th Doctor is in total and finally there are over three times as many Hartnell episodes with the Daleks as 9th Doctor episodes in total.. So yes its just as well the 1st Doctor was a good fit for the monsters. The great thing about the first Doctor’s interactions with the Daleks is that they really help to define who the first Doctor, and by extension all subsequent Doctors really are. When we first meet Hartnell’s Doctor he couldn’t be more different from his successors. He is ruthless, selfish, cowardly even murderous. He doesn’t care about the affairs of other life forms, he even looks down on them, calling human beings “primitives” and “savages”. His morality at first doesn’t seem too different to the Daleks, as he considers himself and Susan above Ian and Barbara because they are human. However it is when he confronts the Daleks that we first see the changes in his character. In the first Dalek story “The Daleks”, the Doctor to start with is callous and selfish, perfectly prepared to leave the thals who have been lured into the Daleks city to their fate, and at one point even Barbara too! However by the end of the story when he sees how the Daleks are willing to destroy an entire culture, even an entire species in the blink of an eye it horrifies him. Prior to this the Doctor clearly looked on the Dalek/Thal conflict as being no different to the conflict between the cavemen in the previous story. To him its just more silly primitives he considers beneath him fighting with one another and therefore its none of his business. The Daleks however quickly show themselves to be beyond that. They aren’t just having a war with the Thals over land or influence. They hate the Thals with the very core of their being and want to erase them from existence. The Doctor for the first time is actually morally outraged at what he is seeing and actually takes a more active role in trying to stop the Daleks than he ever thought he would. At one point he is willing to give up the secrets of the TARDIS itself to the Daleks to try and save the Thals. Within the one story we can see a huge change in the Doctors character due to his dealings with the Daleks. The evil of the Daleks shows him that there are some things in this universe worth fighting against. Of course the Doctor doesn’t become the hero we all know and love by the end of the first Dalek story. It could be argued that he was only willing to give up the secrets of the TARDIS to save his own life. Also its a long while after the first Dalek story before the Doctor becomes the central heroic character. Still you can see a very noticable change in his character from this point on. He is certainly no longer as callous, or ruthless as he was before. The Daleks showed him what true evil is and their revolting attitude of considering all non Dalek life forms lesser than them also perhaps made him look at himself more and how he had treated the humans around him whom he considered to be lesser than he was. Though he and Ian and Barbara do clash again in the following story “The Edge of Destruction” it is worth noting that the Doctor at the start of that story was trying to get them back to earth, something which he was not willing to do before hand. In the next story “The Dalek Invasion of Earth” we see the Doctor take on a central heroic role for the first time in the series. Once again he becomes so outraged at what he sees he actually doesn’t rest until he has stopped the Daleks. The Daleks have blitzed an entire planet, slaughtered billions of innocent men, women and children, destroyed an entire culture and society and plan to do the same to billions of other worlds by turning the earth into a spaceship that will make them unbeatable. In “The Dalek Invasion of Earth” the Doctor is finally recognizable as the character we have come to know and love. He is the hero helping the under dog in any way he can, who never gives up even when everyone else around him wants to. The Doctor/ Yes they dare. And we have got to dare to stop them! After “The Dalek Invasion of Earth” we see the Doctor become involved almost all of the time. After having got involved in stopping the Daleks he finds that he can no longer sit back in any situation. He has discovered who he truly is in his dealings with the Daleks and seemingly what his role is in the universe to help those in need like the Thals and the humans of the 22nd century from monsters like the Daleks. The Daleks therefore really help to define who the Doctor is as a character during the first Doctors era and that’s what makes his interactions with them so interesting. Of course I am not saying that all of the first Doctors development from a self serving character to a hero is because of the Daleks, but certainly a large part of it is and I think you can see his development more clearly across his 4 stories with the Daleks than with any of his other stories. By his final Dalek story “The Daleks Masterplan” the First Doctor is now someone who is willing to sacrifice his own life to stop the Daleks and thinks nothing of it. A far cry from the selfish, callous individual who was willing to let the Thals walk into a trap in the first Dalek story. The Doctor/ Well, lets get back to the ship. Susan/ No, I must warn the Thals. Susan/ We can’t just let them walk into a trap. The Doctor/ The Thals are no concern of ours. We cannot jeopardize our lives getting involved in an affair that is none of our business. The Doctor/ I want you to give me enough time to get to that meeting and find out exactly what is going on. Then I will head back to Chen’s ship. Bret/ And how long will that take? The Doctor/ Well I must leave that to your own judgement. If, of course you hear any kind of uproar, well then you’ll have to get into the spaceship and go off without me. Bret/ Doctor we can’t leave you. The Doctor/ Oh nonsense, nonsense. Earth must be warned about the Daleks and Chen. Bret/ You are a very brave man. The Doctor/ Rubbish, rubbish my boy. I’m only doing what must be done. I wouldn’t say the first Doctor’s interactions with the Daleks are the best of any Doctor, but they are definitely among the best. In his time the Daleks do help to shape the Doctor. They show him that he can’t just keep travelling and never get involved in anything around him. 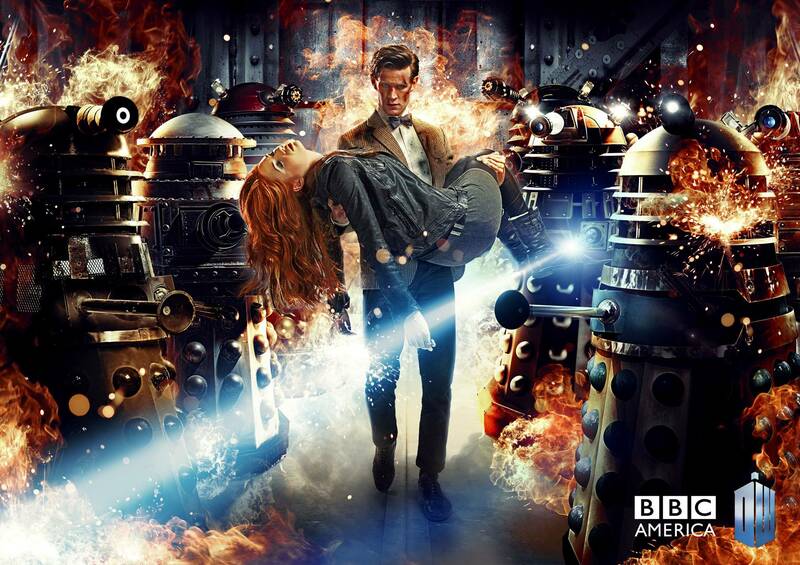 The Daleks ironically create the Doctor who never gives up, and always fights against injustice. That to me perfectly sums up the first Doctors relationship with the monsters. William Hartnell apparently loved the Daleks. He stated in an interview taken between the first and second seasons of the show that he was delighted they would return in the new series. His wife Heather Hartnell would later say how much he loved them in an interview for the 20th anniversary. “Bill used to really enjoy the Daleks, because they were something for him to hate. In a way they were the real black monsters of the time, because, then, we hadn’t had bad Time Lords brought in. So they were the worst enemy he ever came across and he really enjoyed fighting them and he knew the kids loved the Dalek series. For me the Second Doctor could very well be the best Dalek Doctor of them all. Even though he only got two Dalek stories, I still honestly can’t think of a Doctor better suited for his archenemies than the Second Doctor. The second Doctor’s Dalek stories were written by David Whitaker. Now Whitaker as I have explored gave us an entirely new interpretation of the Daleks. His Daleks were manipulative, physically powerful, able to understand humans and less alien than Nations. All of this made them the perfect match for the second Doctor. The Second Doctor was quite a manipulative character. On the surface he seemed like a silly, bumbling oaf, who resorted to a state of childlike panic whenever anything went wrong. However underneath he was arguably one of the most cunning and wiley Doctors of them all. He often used his clown like facade to throw his enemies like the Cybermen and the Ice Warriors all of whom greatly underestimated him off. 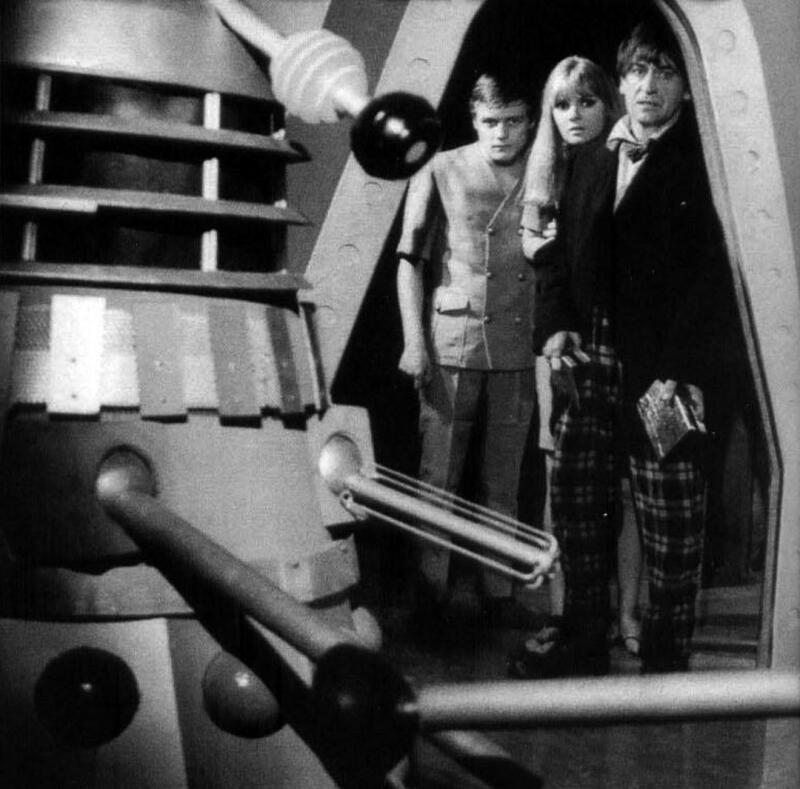 The Daleks in Troughton’s time similarly often manipulated their opponents. In “The Power of the Daleks” the Daleks dupe the human colonists into thinking that they are peaceful and everyone on the colony has no idea what they are dealing with. Only the Doctor knows just how dangerous they are of course. At the same time however his usual tactics of “oh my giddy aunt” pretending to be a moron and a fool does not dupe them. They know him too and they know how powerful he truly is. That’s what makes the second Doctors interactions with the Daleks so fascinating. We see these two incredibly powerful creatures, The Doctor and the Daleks, make everyone else around them think they are harmless. We also see how they use everyone around them including even the Doctors own companions like pieces on a chess board such as when the Doctor goes as far as to risk Jamie’s life in trying manipulate the Daleks in “The Evil of the Daleks”. This really helped to reinforce the idea of the Daleks being the worst of the Doctors many enemies. All of his usual tactics could work on the Cybermen, but with the Daleks he had to go that extra mile. He was pushed to his very limits in trying to get one over on them, which is why he risks Jamie’s life. In “Evil of the Daleks” both the Doctor and the Daleks constantly manage to get one over on the Doctor until the Doctor finally beats them. To begin with the Daleks get one over on the Doctor by stealing his TARDIS and luring him across time itself. Then when they force him to isolate the human factor, he tricks them by making the humanized Daleks friendly. The Daleks however manage to trick him again by revealing that the technology he has given them will allow them to isolate the Dalek factor and use it to destroy humanity. They then make him their servant, but he is able to trick them one last time by pretending that they have enslaved him and infecting them with the human factor. Patrick Troughton generally tends to underplay it when facing the Daleks, a sign that he is genuinely afraid this time unlike with his usual hysterical reactions. I am not sure how Patrick Troughton’s Doctor would have worked with another take on the Daleks. He really lucked out in that Whitaker’s Daleks were such a perfect fit for his Doctor. For the first time the Daleks actually mirrored the Doctor somewhat, as they both used the same tactics as one another, they were both deceitful, but one obviously used these tactics for good, the other for evil. Sadly modern generations can’t enjoy the second Doctors interactions with the Daleks properly as only episode 2 of “The Evil of the Daleks” survives with all other episodes having been junked. Still you should check out the recons on Youtube or the surviving audio tapes to get a glimpse of what are in my opinion the greatest Doctor/Dalek interactions. Patrick Troughton was very fond of the Daleks too just like Hartnell was. Apparently he even counted “The Evil of the Daleks” among his favorites and near the end of his life offered to remake the serial to the BBC who sadly turned him down. The Third Doctor I feel was not only a very effective Dalek Doctor, but also a very influential one too. He was I think the first Doctor who really demonstrated a hatred for them. The previous two Doctors had obviously been willing to destroy the Daleks, but you never got the impression that they despised them. With the third Doctor however there were hints that he did despise them. It wasn’t as pronounced as say the 9th Doctor, but still you could see little moments between 3 and the Daleks that were precursors to the likes of 9 and 11’s interactions with the monsters. The third Doctor is actually shown to take pleasure in destroying the Daleks or watching them be destroyed. In “Planet of the Daleks” after destroying a Dalek he remarks that “for a man who abhors violence I took an immense satisfaction in that”. Then there is the scene in “Death to the Daleks” where he happily watches an electric root destroy a Dalek and actually cheers it on! Its hard to imagine the third Doctor actually take pleasure in another life form’s destruction. The third Doctor was one of the most virtuous Doctors of them all, so once again this was a perfect way to show how the Daleks were the Doctor’s worst enemies that they could provoke this type of reaction from him, that even the Master couldn’t. 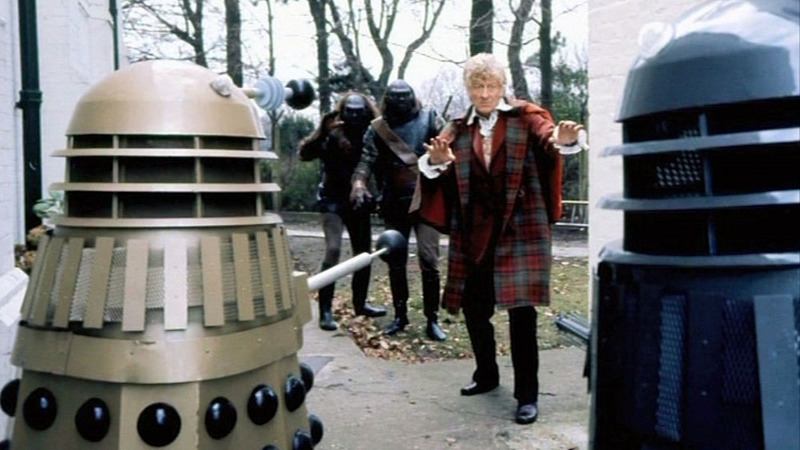 Interestingly enough Jon Pertwee hated the Daleks. He said he found them to be laughable and boring villains. However I think he was actually able to work that into his performance quite well, as Pertwee’s own real life contempt for the Daleks was reflected in the third Doctors hatred of them. Now I think that Tom Baker has the single greatest Dalek story of all time “Genesis of the Daleks” and is obviously one of the best Doctors of all time. However sadly I don’t think he was a good Dalek Doctor at all. In both of his two stories to start with he actually has very little interaction with the monsters. 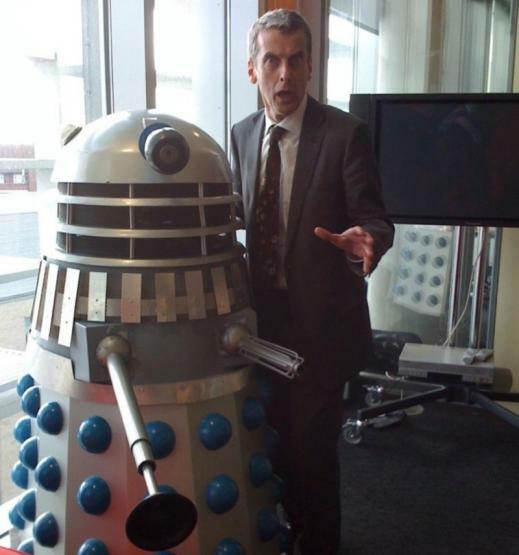 Its really Davros he interacts with instead. In “Genesis” he must share the screen for all of two minutes with the monsters. However worse than that I just don’t think Tom’s Doctor was really a good fit for the Daleks as Tom’s Doctor is usually depicted as a man without fear. That’s often one of the best things about his Doctors is the fact that he never shows even the slightest bit of worry even when faced with the worst villains in the universe such as Magnus Creel and Morbius. Sadly however this is not good for the Daleks, who as the Doctors oldest enemies should fill him with utter horror and dread. Look at the third Doctors reaction a lone Dalek in “Day of the Daleks” compared to the 4th Doctor being cornered by them in “Destiny of the Daleks” where he practically laughs at them. Obviously having the Doctor not take them seriously and even point out their then inability to climb stairs greatly undermines their menace. Thus even though he has the best Dalek story and probably the best Dalek related moment with the “have I the right” speech, I’d say the 4th Doctor was probably the worst fit for the Daleks of all the Doctors, and its probably just as well they didn’t use them that often during his tenure. Tom Baker has always said that the Daleks were his favorite monsters because they were the children’s favorites. Now I love all 3 80’s Doctors, but sadly I can’t really devote any time to their interactions with the Daleks. The reason is that none of them really had any memorable interactions with the monsters. Again that’s not to say that their Dalek stories were bad, far from it, but much like with the 4th Doctor, the Daleks don’t really get to interact with the Doctor much in their time as Davros takes centre stage, and therefore most of the Doctors interactions are with Davros instead. Added to this each of these Doctors only had one Dalek story on television and each story was not part of a major story arc or a major point in the development of the Doctors character. That’s not to say there aren’t some great Doctor Dalek moments. The 7th Doctor being cornered by a Dalek flying up the stair after him for the first time is surely one of the most iconic moments in Who history. I also felt there was a lot of potential for for all 3 80’s Doctors to be good Dalek Doctors. The 5th Doctor being a much more vulnerable character would have worked well as we could have seen how affected he was by the evil they caused and how, if anything they managed to push him too far. The 6th Doctor would have made an excellent Dalek Doctor due to his darker nature, you can imagine him getting angry and wanting to destroy every single last one of them. The 7th Doctor meanwhile due to his more manipulative nature I think would have been a good match for David Whitaker type of Daleks, more manipulative and sly villains. Sadly however none of this potential was ever really realized on screen. The 80’s Doctors would go on to encounter the Daleks many more times in the Big Finish Audio stories, free of Davros. Of all of them I’d say the 6th Doctor is the best Dalek Doctor. I think that the 6th Doctors interactions with the Daleks are actually among the most interesting in the Big Finish Audio’s. However since we are only looking at their television encounters with the Daleks, then sadly I have to conclude that all 3 80’s Doctors never got to establish a relationship with any of the 80’s Doctors and the Daleks the way the first 3 did. For this same reason I will also be overlooking the 8th Doctor’s interactions with the Daleks, as again he only encountered them once on tv, via archive footage in “The Day of the Doctor” . Finally I will also be skipping the War Doctor who also only encountered them in one scene. All of the 80’s Doctors loved the Daleks, Colin Baker said they were his favorite monsters whilst Sylvester McCoy has said that he didn’t feel like the true Doctor until he fought the Daleks, which didn’t happen until the first story of his second series. Now the 9th Doctors interactions with the Daleks are probably the most celebrated and its not hard to see why. Christopher Eccelston really captured the hatred the Doctor had for the villains, which had only been made worse by the Time War. Its actually quite incredible just how much emotion Eccelston was able to project when acting alongside a totally inanimate object. In many ways the 9th Doctors interactions with the monsters captured all of the very best elements of the first three Doctors interactions with them. Like the 1st Doctor, the 9th Doctors character is really shaped by his dealings with the Daleks. 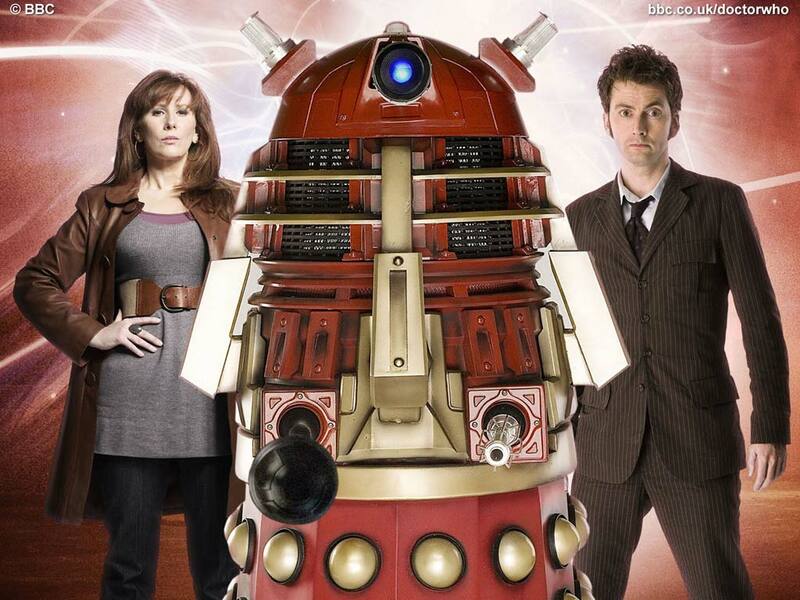 It is the Daleks who after all made him into a much darker, more bitter and hateful character at the start of the series due to the time war. Eventually his darker qualities are fully brought to the fore in “Dalek” where he ends up pointing a gun at Rose to murder the Dalek that is now defenceless. Here he realizes just how far he has come, and with Rose’s help he is able to put his hatred behind him and move on and become a much better person. We finally see how much the 9th Doctor has changed in the two part season finale “Bad Wolf/ The Parting of the Ways” where he refuses to sacrifice the earth to stop the Daleks. Unlike before where he (seemingly) slaughtered billions of innocent people in the time war to stop them, now he proudly declares that he would happily be “a coward” rather than a killer any day, and once again much like with the first Doctor we see what type of man he truly is through his dealings with the Daleks. Like the Second Doctor we also see some rather interesting parallels between the Doctor and the Daleks during his time too. We see how both of them lost everything during the war and have become mere shadows of their former selves. Its not just a question of the both lost their entire worlds, but everything they believed in and even represented went up in flames at the end of the time war. The Doctor believed himself to be a good man “never cowardly nor cruel” yet he had now butchered billions of innocent men, women and children. The Daleks meanwhile believed themselves to be destined to be the masters of the universe, but had now been virtually wiped out. They were for all intents and purposes a dead race, a thing of the past, with the few survivors living in the shadows and filth of other races like human beings. Thus both of them when we see them are mere shells of their former selves. The Daleks are mad or half human hybrids, the Doctor is angry, bitter and vengeful and even somewhat inept as a hero. When the 9th Doctor says to the Dalek that “everything you stood for is gone” he is talking to himself just as much as he is to the Dalek. However at the same time whilst we see this rather interesting similarity between the Doctor and the Daleks, we also see how the Doctor is ultimately stronger. Both the Doctor and the Daleks are consumed by hatred after what happened in the time war, but Rose is able to help the Doctor overcome it and become the man he once was. The coward rather than the killer, but the Daleks who never knew anything but hatred are unable to move on further degenerate into caricatures of themselves as seen in the season finale with the mad human Daleks and the insane Emperor. 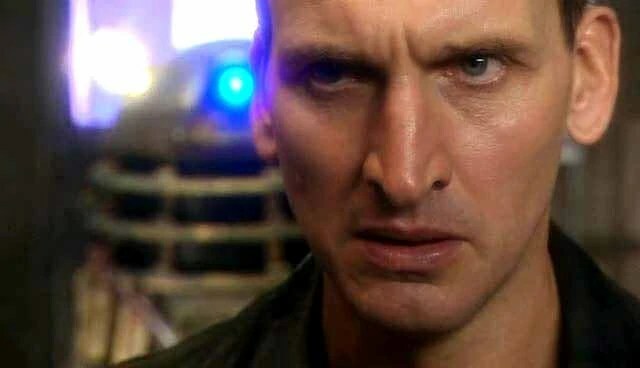 Finally the 9th Doctor obviously took 3’s hatred of them to a whole other level with the 9th Doctor at one point promising to exterminate the entire Dalek race at the end of “The Parting of the Ways” and trying to murder a helpless Dalek out of no reason other than vengeance in “Dalek”. Of course a lot of credit for the 9th Doctors wonderful interactions with the Daleks has to go to Russell T Davies too. He was an excellent writer for the Daleks and really not only beefed them up as villains overall, but also their relationship with the Doctor too. Christopher Eccelston though claiming to have never been that much of a Doctor Who fan growing up had stated that he nevertheless always enjoyed watching Dalek stories as he found it fascinating that a creature like a Dalek could be so evil and so pathetic at the same time. He also said he always wanted to see what the creature inside looked like. Now originally I didn’t think much of the Tenth Doctors interactions with the Daleks. After the way 9 played off of them, 10 seemed a bit tame in comparison. Now however I think that was actually the right thing to do as it made sense that that would be how the Doctor would react to them at this point in his life. The Tenth Doctor was a much more benevolent figure than 9 was. After having reached the absolute low point of his life as 9, 10 obviously was trying to control his darker impulses instead and become more like the hero he had been centuries earlier. However we could see that that dark side in the 9th Doctor was still there lurking under the surface in 10 and would occasionally be let out such as against the Racnoss. Thus when faced with the Daleks whom he knows can bring out the worst in him, just with their very existence. 10 has to hold it together every second. You can tell though at various points he wants to lose it and destroy them completely such as in “Daleks in Manhatten/ Evolution of the Daleks”. Here he is genuinely devastated that they have survived yet again “they always survive while I lose everything”. And we see this with 10’s clone who acts in the way 10 would very much like to and finally wipes the Daleks out and makes them pay for all they have done to him. 10’s interactions with the Daleks also paved the way for 11’s, as with 9 we see a Doctor who embraces his hatred of the monsters and is taken to a very dark place, where he ends up pointing a gun at Rose in order to destroy the Metaltron. As a result 10 tries to hold that hatred in check and even tries to show compassion to the Daleks. However this results in great catastrophe for him. For instance the compassion he showed to Dalek Caan at the end of “Evolution of the Daleks” was directly responsible for the deaths of all the millions of people the Daleks slaughtered when they stole the earth (including Harriet Jones) and also Donna losing her memory, as had he just destroyed Dalek Caan there and then the Daleks would have been finished, but his compassion allowed Caan to escape. Naturally after this 11 has a renewed hatred and even stronger desire to finish them forever. Whilst his interactions may not have been quite as tense as 9’s were, I still think 10 had quite an interesting dynamic with the Daleks, and served as the perfect bridge between the 9th and the 11th Doctors, both of whom utterly despised the Daleks. David Tennant having been a life long Doctor Who fan absolutely adored the Daleks. His favorite ever story is in fact “Genesis of the Daleks” and he has said that it was actually this story that got him interested in Doctor Who in the first place. Now not many people think that the 11th Doctor was that well suited to the Daleks. Personally however I’d rank as one of the Doctors who played off of them the best. The 11th Doctor much like the 9th and the 3rd had a passionate hatred of the monsters. He reacted with violence towards them and was even shown again much like both the 3rd and 9th Doctors to take a delight in destroying them. In some ways I actually found this to be more effective than the 9th Doctors interactions with them. The thing about Matt’s Doctor is again much like Jon Pertwee he is the last Doctor you’d expect to do something like that. You’d expect it from Chris who is a darker, more volatile Doctor, but Matt’s sweet, funny. painfully uncool Doctor is the last incarnation you’d expect to see casually tear open a Dalek. What’s even more disturbing is how calm he is in doing it as well. Unlike the 9th Doctor he doesn’t shout and scream, showing that by this point its just become natural to him. His hatred of the Daleks now is a part of him as much as his heroic qualities. I also as I said before think that 11’s hatred of them made perfect sense after the way 10 played off of them. 10 as we saw tried to show mercy to them, which turned out badly for him and his friends like Harriet Jones and Donna Noble. 11 unlike 10 who tried to hide his hatred for them, embraces it. In real life Matt Smith absolutely loved the Daleks and even remarked that he found it difficult to hate them on screen as he loved them so much. Now I am not going to go into to much detail here as the 12th Doctor’s era has only begun and he has only had one story against the Daleks so far. Still he has shown promise to have an interesting dynamic with them. Much like 3, 9 and 11 he is shown to have a deep hatred of them. Obviously Capaldi can do anger very well and is also brilliant at capturing the Doctors dark side. However again its still too early to say how 12’s relationship will develop with them, but the character of Rusty a benevolent Dalek, or rather a Dalek that just hates its own kind certainly looks like it could offer up a fresh dynamic between the Doctor and his oldest and deadliest enemies. As you can see the Doctors relationship with the Daleks has changed over the years, sometimes for the better and sometimes for the worst, but its still always been a very complex and interesting relationship none the less. Personally I’d say the best Dalek Doctors on screen are 2, 9, 1, 11, 3 and 10 in that order.